Keeping a promise made by the Department of Justice (DOJ) last summer, the newly appointed U.S. Attorney in Seattle, Brian Moran, has said he will not allow a safe injection site for illicit drugs to open in the city. “That’s a bridge too far for me,” Moran said Wednesday. He said he has told Seattle City Attorney Pete Holmes to “not go there,” or risk a federal lawsuit. “We are all trying to solve a horrific crisis, and these are people whose intentions are well-mannered, well-meaning and in good faith,” he said of the city and county officials who have promoted the controversial sites. Seattle has been seeking to be the first city in the United States to open a site where illegal drugs can be used under medical supervision, as a way to address the pressing problem of overdoses brought on by the opioid epidemic. States and major cities across the country — from San Francisco to Philadelphia to New York — are considering them, but the proposed facilities have provoked strong resistance, in King County and elsewhere. While Moran acknowledges he hasn’t studied the issue, he said that the idea of allowing people to inject toxic substances in a government-sanctioned site, regardless of the availability of medical professionals, “is fraught with peril,” and would violate federal law. In August, Deputy U.S. Attorney General Rod Rosenstein, the No. 2 man at the DOJ, said the federal government won’t tolerate the sites — which would violate federal drug laws — and will act against them if they open. Seattle officials acknowledged Rosenstein’s threat, made in an Op-Ed published in The New York Times, but they have continued a cautious march toward opening a site, despite the threat of legal action, a lack of funding and the likelihood that siting a facility would be difficult. Moran’s statement puts teeth in the legal threat. Holmes said Moran’s position, first reported by KUOW, isn’t surprising, and noted that such sites allow medical professionals to “meaningfully engage” with people facing addiction. Given the Trump administration’s already-stated adversarial stance on this issue, it was no surprise to hear him recommend that I ‘not go there’,” Holmes said Wednesday. Holmes was referring to a lawsuit filed by the U.S. Attorney for the Eastern District of Pennsylvania last month to block a nonprofit in Philadelphia from opening a safe-injection site. Moran said that if the city does open a site, he would expect his response would be similar. “This is not a time or place to bring a heavy hammer for people with good intentions,” he said. The Seattle City Council has committed up to $1.5 million in one-time funding for the site. King County has budgeted about $1 million for a Seattle location, which would likely be a mobile facility. 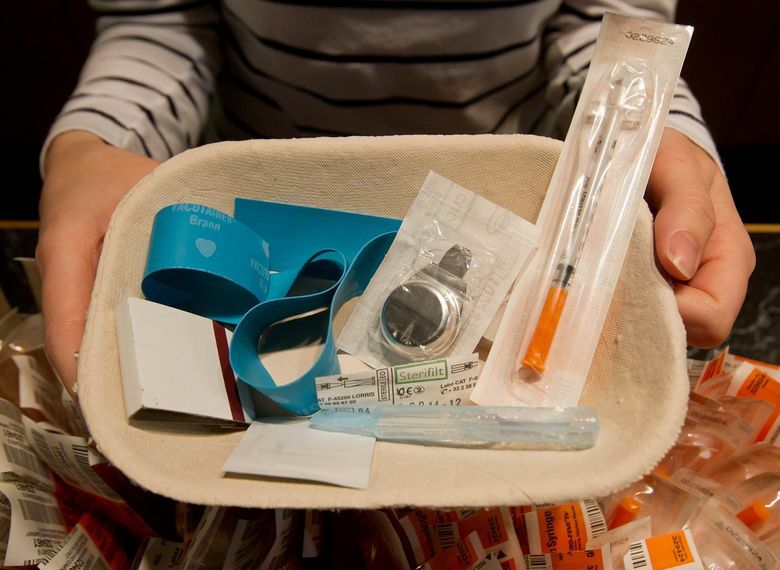 King County and Seattle’s proposed safe-injection sites have cleared a number of legal hurdles since 2017, when King County Executive Dow Constantine and former Seattle Mayor Ed Murray backed the idea. City and county leaders endorsed the findings of a task force that suggested having one location in Seattle and another somewhere else in the county. Since then Bellevue, Federal Way, Renton, Kent and Auburn have all banned safe-injection sites, and a grass-roots campaign seeking a countywide ban gathered enough signatures to put an initiative on the King County ballot in February 2018. The opposition campaign argued the money would be better spent on drug treatment, and a facility would amount to government-sanctioned drug use. In December, the Washington state Supreme Court unanimously struck down that initiative and upheld a 2017 ruling by a King County judge, who ruled that the initiative infringed on the work of public-health officials. Moran, the former deputy Washington attorney general and a longtime Kitsap County criminal prosecutor, was appointed by President Donald Trump and sworn in to the post in January. Staff reporter Vernal Coleman contributed to this report.